How did the father of Wahhabism became the founder of the Saudi State? From Ash’ariyya to the cloak of Muhammad Ibn Abdul Wahhab… this is how Saudi Arabia stole the teachers of Al-Azhar. Ibn Abdul Wahhab’s alliance with Ibn Saud “Blood for blood and destruction for destruction”. The preachers of the Islamic University in Medina invaded Egypt, Malaysia, Europe and America. Joint texts between Wahhabism and the Saudi state form the framework of my new study. In the official Saudi books, you can read the biography of Muhammad Ibn Abdul Wahhab as if you are reading the biography of the prophet. 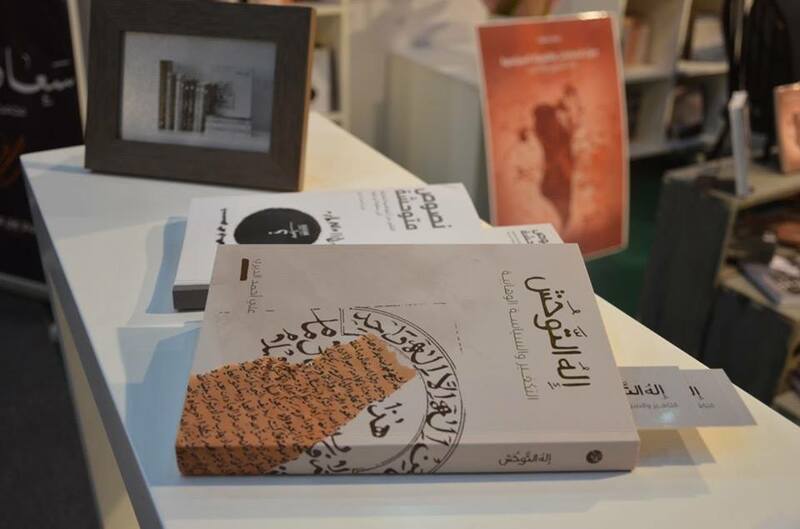 The Bahraini Researcher Dr. Ali Al Dairy had already talked about political environments being an entry to dissect and analyze monstrous texts starting from the Seljuks and leading up to the Salafism of Ibn Taymiyya. He discussed these subjects in his controversial book “Texts of Monstrosity”, the third edition of which will be published soon. Today, he comes back with a new publication, entitled “God of Monstrosity” to discuss Takfir as a killing as a killing scheme that is imposed by a political conflict. In his book, Al Dairy studies the state of Diriyah and Wahhabism by approaching the biography of Muhammad Ibn Abdul Wahhab and his Da’wa, its dissemination in Nejd until it turned into a state, political system, army and a power! The reader will be acquainted with the biography of Ibn Abdul Wahhab in its political context, and with his Takfirist texts that deny people their humanity and legitimize killing a Muslim who does not adopt the Wahhabi interpretation of the texts: the interpretation that legitimizes violence and hatred through the Wahhabi rhetoric that emphasizes what annuls Islam and faith!! This book allows you to understand how this movement resulted in movements of violence and monstrosity that are now terrorising the world. – Let us begin with the word “Monstrosity”; don’t you think that the meaning of this word has deviated from the sense of savageness into another meaning that has become common after Abu Bakr Naji’s book (The Management of Monstrosity)? Isn’t the word “Monstrosity” now a term that indicates the state of chaos that is invading the countries after the power vacuum in Libya, for instance, after Gaddafi, and Iraq after Saddam… that state of political vacuum which your book does not discuss? Al Dairy: Monstrosity is not a name or a term, it is a concept; and no one owns concepts, as monstrosity expresses an idea. It does not reflect a group, a sect or a person. Anthropologists may have been among those who have used this concept the most to point out uncivilised groups, then they backed away and apologized to these groups, and they called them primitive groups. Monstrosity is a concept that describes the realistic situation which has occurred throughout history, and the theoretical texts legislating it; by this I mean the situation of the “other” who is different from us in sect, religion or politics. In our Islamic belief, we have doctrinal and juristic texts that are loaded with provocation, enmity, hatred and legitimized killing. There are also relevant practicable implementations over history of these texts. I am interested in these acts of implementations, and all the texts I have studied in my books “Texts of Monstrosity” and “God of Monstrosity” have documented cases of practicable implementations in reliable books of history. – Why Wahhabism? Isn’t it a trend on its way to inevitable end? What is the need for the book “God of Monstrosity” now? Al Dairy: Why Wahhabism? Because it has succeeded in invading the world in the name of pure monotheism, true Sunnah (prophetic tradition) and Al-Salaf Al-Salih (the righteous predecessors). It has spread through the Islamic mind, and has been able to “steal its face”. The talk about Wahhabism today, in its Takfirist speech, cannot be separated from politics. In my criticism in the “Texts of Monstrosity” and “God of Monstrosity”, I have proceeded from the idea that “Takfirism is a plan for killing dictated by political conflict”, and I see that Wahhabism is a form of examining this idea. My book is not a study on the extent of the presence of Wahhabism in the Islamic world, but I will answer your question to emphasize the importance of critically studying the Wahhabi speech. Let us take Egypt and Malaysia as examples of the spread and extension of the Wahhabi speech, in addition to the spread of hatred. In Malaysia, directly Saudi-backed universities have been able to turn the Shiite belief into a “banned religion” since it “houses various doctrinal deviations (Bid’ah) that exclude one from Islam”. In Malaysia, declaring Shiites as apostates is done based on a Malaysian Code. The state also bans, by a code, the use of the name of Allah in indicating the god of non-muslims. This has provoked a widespread campaign all over the country under the slogan, “Allah is for Muslims only”. In Egypt, Saudi Arabia only backed private religious universities. It provided free education to the people of the Islamic world, it gave them high certificates equivalent to Al-Azhar’s— attested by Egyptian official authorities— it “stole” the teachers of Al-Azhar who started teaching in Al-Madinah International University, thus shifting it (Al-Azhar) from Ash’arism and placing it under the cloak of Muhammad Ibn Abdul Wahhab. In Saudi Arabia itself, all facilitations are made to receive the people of the Islamic world, in return for producing graduates who become preachers that spread Wahhabism. Accordingly, Wahhabism has been able to control the largest mosques in Europe and America. The following are examples of preachers in the West, who are accused of delivering hate speeches. They are all graduates of the Islamic University in Medina: preachers Bilal Philips, Abu Usamah Al-Thahabi and Yasser Al-Qadi. – In your book “Texts of Monstrosity”, after discussing the roots of Takfirist minds invested in the thought of Ibn Taymiyyah, you talked about the views of Ibn Abdul Wahhab being a natural extension to those roots in your other book “God of Monstrosity”; will we soon read a book written by you tackling the subject of ISIS? What makes the biographies of persons with extremist minds and views an inspiration to numerous movements? I am not interested in ISIS as much as I am interested in its legacy drawn from the texts. In my books”Texts of Monstrosity” and “God of Monstrosity” I looked into the political, doctrinal and jurisprudential contexts. These texts form the bedrock of what we are witnessing today of the endless emergence of monstrous movements, which must be criticized and whose political contexts must be revealed. The death of Ibn Taymiyya was indeed the moment of his birth. His student, Ibn Katheer, recorded his life in a historical text in which he described Ibn Taymiyya’s funeral. This description was a mixture of exaggeration and sanctifying with the historical reality. Allow me to elaborate more in this context, and say that the life of thought is much more dangerous than the life of persons. Imam Ahmed Ibn Hanbal says; ‘The mass of a funeral determines whether the deceased is a man of Bid’ah [heterodox]’. Ibn Katheer wrote the text of Ibn Taymiyya’s funeral based on the context of this saying. We actually do not know the historical truth of this funeral’s mass, and what really happened, but we know that Ibn Katheer’s description has become a historic reality; Salafists do not hesitate to recall this text and celebrate it. Some estimates state that the number of participants in the funeral ranged between 60,000 and 100,000, extending to even more. The number of women participating was estimated to have been 15,000. Ibn Katheer said that some people even drank the water that was left from Ibn Taymiyya’s Ghusl. It was also said that the Taqiyah (cap) which was on his head was bought at the price of 500 Dirhams, and that in the funeral, there was noise and sounds of crying and praying. Ibn Katheer said that people read the whole Quran multiple times, and that people frequented his grave for many days and nights; spending the night over there, and that many people saw good dreams of him. In addition, a large number of elegies were written about him. So, this is how Ibn Katheer presents the mass of funerals, as if it were approval of the thought of Ibn Taymiyya, and of its continuity in the people who expressed their love and appreciation to him when they participated in his funeral as they did. If Ibn Taymiyya’s funeral is considered an act of saving face after the imprisonment he suffered, then the biography of Muhammad Ibn Abdul Wahhab, as told by the official Saudi history book, is very similar to the biography of the prophet, filled with heavenly care and success. Telling biographies in this manner makes them live within their followers. That is why the thoughts of these persons do not fade. – Do you think that the alliance of Ibn Abdul Wahhab and Ibn Saud was the main reason behind the spread of Wahhabism? Or is it that the rough bedouin nature of Nejdis was a bedrock to this fanatic and strict doctrine? If it were not for this alliance, this Da’wa would have never succeeded. This is the Diriyah Agreement of 1744. Muhammad Ibn Abdul Wahhab made a great effort, and he nearly died several times so that he could achieve this alliance. It is noteworthy that this agreement is not written, it is rather backed with bloodshed and destruction “Blood for blood and destruction for destruction”. This alliance forms a crucial part of the detailed record of the Da’wa and the state. I have elaborated on this subject in the book. This agreement stands as another evidence showing that the texts of monstrosity were the result of alliance between religion and politics, and that politics is the perfect environment to produce monstrous religious texts. The Nejdi nature is filled with diversity, and it housed poets who celebrate life, admire beauty and enjoy nature. It is enough that it beheld the story of Qays and Layla (Layla and Majnun). – In light of the scientific research and the available documents relevant to Ibn Abdul Wahhab’s biography, how can you scientifically evaluate what was mentioned in the “Memoirs of Mr. Hempher, The British Spy to the Middle East”? Are their contents and sources credible enough? I did not use these memoirs as a reference in my study, and I truly do not see any real value in them, as these memoirs do not exist in the British Archives. I also hadn’t used “ Lam’ al-Shihab fi Sirat Muhammad ibn Abd al-Wahhab” because its author is suspicious and his information about Ibn Abdul Wahhab’s biography are not reliable. In my study, I referred to the official sources honored by Wahhabism and by the Saudi state. The two most important sources are Ibn Ghannam’s book “Rawdat Al-Afkar Wa Al-Afham Li Mortad Hal Al-Imam Wa Te’dad Gazawat Zawi Al-Islam”, and Ibn Bishr’s book “Unwan Al-Majd Fi Tarikh Najd”. – Amongst what was written about the Wahhabi movement, its founder and about the first Saudi state, what does “God of Monstrosity” have to offer to the reader, differentiating it from other available books and sources? Every study has its own perspective and approach. I tried to apprehend how a state in the eighteenth century -the century of western modernity- could be established on the basis of a religious Da’wa that accuses all of those who have beliefs different from its fanatic concept of monotheism of being apostates. I wanted to understand how this man -Muhammad Ibn Abdul Wahhab- who is the center of this Da’wa became the founder of the Saudi State. How did he grant this state its legal identity? How did this state, with him calling for monotheism, become the only state that houses and practices violence at the same time, not against those who disobey the law, but those who disagree with its beliefs? These questions are prohibited in Saudi Arabia, and they cannot be approached with freedom and openness. Jama’at al-Tawhid wal-Jihad (Iraq), Tauhid Group (Germany), Jama’at al-Tawhid wal-Jihad (Egypt), Al-Tawhid Wal-Hijra (Egypt), Al-Tawhid Wal-Hijra (Iraq), Al-Tawhid Wal-Jihad Movement (West Africa), Jama’at al-Tawhid wal-Jihad (Jerusalem), Jama’at al-Tawhid wal-Jihad (Morrocco). – If we take a look at the current Wahhabi religious establishment, can you see that it is abiding by the thoughts of Ibn Abdul Wahhab, precisely to that relevant to polytheism, monotheism, emigration, immigration and jihad? Or did it change under the pressure of international and local calls for reform? “Obedience to the ruler” is equal to “Imamah” with regards to submission and obedience. This makes Wahhabism as an establishment for (Senior Religious Scholars) a tool that can be controlled and restrained under the rule of the ruler, but it cannot be restrained in relevance to Da’wa and speeches, and it might give birth to infinite number of groups resembling an endless mathematical equation. There is a clear list to accuse people with unbelief which are: to denounce the infidels, not to admire their regulations, show gratitude towards them, follow their examples, adhere to them, and be close to them. Each title in this list is considered to annul faith; one is therefore, accused with unbelief when they do not denounce the infidels, admire them, show them gratitude, follow their examples, adhere to them, or be close to them. But this list can be adjusted if it were to be connected to the ruler. Thus, it becomes permissible interests that is legislated, established for it, and those who reject it are accused with unfaith; everyone who opposes it are threatened to be at war with; this is all because these acts are considered to be deviation from the interests of the ruler. But this list is not adjusted to produce speeches of forgiveness, peace and love between people. The essence of this Da’wa is based on fanaticism, charging with infidelity and hatred; it is rather adjusted on the basis of finding legal loopholes that are in accordance with the ruler’s political interests. This kind of adjustments occurred in the Afghanistan war, the invasion of Kuwait, calling for infidel troops of the Arabian Peninsula, and Decisive Strom Operation. – In your opinion, what will the Shia learn from this monstrous lesson? Doesn’t this call for a deep research in the origins of hatred in order to break it up whether it was amongst Sunnis or Shia? Monstrosity, in the context I used, is a more critical state than not accepting the different people, and being different from others, it is more dangerous that each religion or sect considers that the others are corrupt or stray cattles. Talking about monstrosity makes us stand before a state that calls for killing and committing violations, where others are not stray sheep, but rather sheep meant to be slaughtered. I am talking about doctrinal and juristic texts that give orders to an army to kill and assault different groups of people, to attack their women and steal their wealth. I hope we do not get confused between monstrosity and fanaticism or narrow mindedness; that is a different case. To emphasize, every act of monstrosity is fanaticism, seclusion and hatred, but not every feeling of hatred and seclusion is monstrosity. We have to distinguish between the two cases just as the law distinguishes between misdemeanour and crime. I think that the Shiite intellect did not get involved in the production of monstrous texts in the context I wrote about, mostly because it represented minorities. On the other hand, the Shia did get involved in producing irrational texts, and they have established untouchable doctrinal concessions that are the product of history and politics. They moreover wrote down imagined historical events. The Shiite thought must learn from the lesson of monstrosity. Shiites must not glorify their texts and writings, they must be brave enough to criticize their principles, and to detach their concessions from politics and history. Otherwise they shall be threatened to witness the birth of extremist groups to be engaged in political conflicts. I can recall several examples of those now, such as Yasser Al-Habib and his followers, Ahmed Hassan Al-Yamani, groups that assume they are followers of Al Mahdi, and groups that practice disgusting rituals.